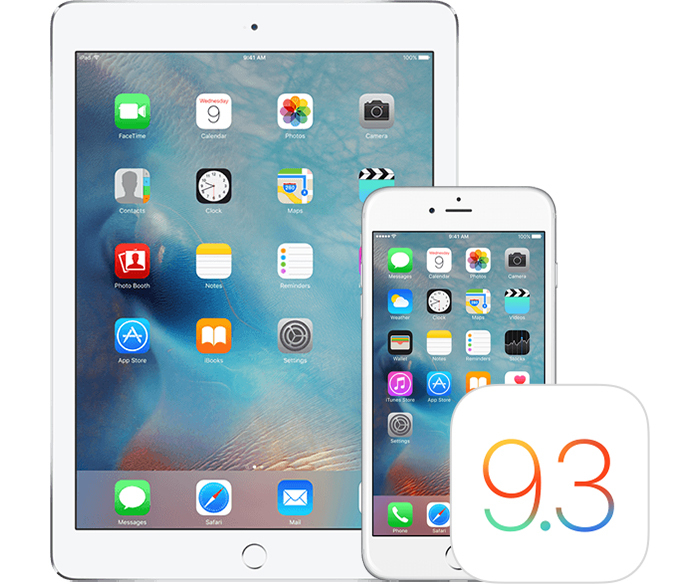 Apple today released an iOS 9.3.4 update for the iOS 9 operating system, just over two weeks after releasing iOS 9.3.3 and less than two months before we expect to see the public release of iOS 10, currently in beta testing. iOS 9.3.4 is available immediately via an over-the-air download on all devices running iOS 9. According to Apple's release notes, iOS 9.3.4 provides "an important security update" and is recommended for all iOS 9 users. iOS 9.3.4 is likely to be the last update to iOS 9, with iOS 10 coming in September alongside new iOS devices. iOS 10 brings a slew of new features, including a revamped Lock screen experience, an overhauled Messages app with new functionality and its own App Store, a new Photos app with object and facial recognition, a redesigned Music app, a centralized HomeKit app, and a Siri SDK for developers. Update: iOS 9.3.4 fixes the Pangu iOS 9.3.3 jailbreak exploit. In a support document covering the security fix included in the update, Apple credits Team Pangu with discovering a vulnerability related to a memory corruption issue. Dear people who are saying "this patches the jailbreak", a jailbreak must bypass security features of iOS in order to be installed, and if jailbreak software can do it, so can other people who want to do much more with your phone than install some new features. So the more correct thing is to say that this patches a severe security hole. To just say "jailbreak" distracts from the real security issue. You have cat to be kitten me. I just freaking updated to 9.3.3 yesterday, now another dreadful update! Damn you Apple. Damn them in spayeds. I hope it didn't break iClawed. I am not amewsed. Litterally. Security update but this thread will be filled with "I wish they'd add some feature that's far beyond the realm of a X.X.1 release." DON'T WORRY, I DID NOT BUY THE PHONE TO JAILBREAK. Yes it is to patch the jailbreak most likely. Which makes sense, since jailbreaking requires a security flaw. 24.4MB Air 2 & 26.1MB 6s. Seems a little larger than just a quick jailbreak patch. Jailbreak patch is probably in there, but I'm guessing there are a few other things worked out as well.